Since the release of the Google Glass explorer program in 2013 different approaches for their implementation in medicine have been explored by medical pioneers. Over the last 2 years we have witnessed a boom in different augmented reality technologies. In addition we also have witnessed the rise of virtual reality. While augmented reality (AR), in a nutshell, is the overlay of digital content into one’s field of view virtual reality (VR) completely replaces the individual’s field of view. VR is a powerful brainhack that can lead the individual’s brain to believe he is in a completely different location. It is also interesting to mention that we are activating our brains in ways we have never done before and scientists are currently exploring this realm. A common denominator that I have found regarding the implementation of new technologies into whichever field, is that an individual needs to experience it to understand what it can truly do, what it can become and then how to use it in his profession or environment. When I initially tried to describe the augmented reality experience to the medical community, words never did justice to it. Once they experienced it, the most common reaction was “Now I get it”. The same concept applies to Virtual Reality, but in my opinion in a far more drastic manner. One thing is to add content into one’s field of view and the other is to completely shock the brain’s conception of environment and teleport it into another. This Virtual environment has now become the “true” environment for a period of time. Shortly after I had the opportunity to explore Virtual Reality I realized the enormous potential it had in clinical practice. From potential therapeutic implications in the psychiatric realm, heart failure and cardiac rehabilitation to medical education. For this reason I decided to find an accessible way to start exploring and working with such. The most convenient option at the time was using the Gear VR Innovator edition for Note 4. Depending on one’s environment, location and network, a different approach to how they should use it will vary. 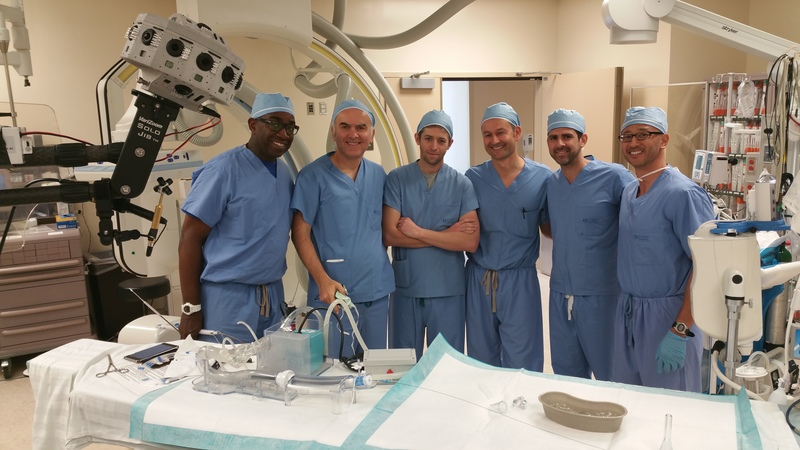 In my case, as an interventional cardiologist, I have seen training courses in which physicians travel form different states, even countries to a particular location to learn new procedure and techniques. For this reason I saw a window of opportunity in such space. If we learn and become experts by repetition, Virtual Reality is just the perfect setting for this. The tangents that can emanate from such are vast, to the point we could potentially add haptic feedback for additional tactile sensation incorporation into the learning experience. In a future, even telementoring-telerobotic applications. In order to test the hypothesis that Virtual Reality will have an important role in the future of medical education I researched ways and techniques to capture a 360 immersive video during particular procedures. After exploring ways and techniques to do so I was lucky to be introduced to Jaunt VR. Needless to say they automatically understood the potential of how this could help medical education and ultimately improve patient care. We explored two Scenarios 1) The ultrasound guided initiative, priceless in deciding approach and exit strategy in particular interventions 2) Preparing and deploying the Medtronic CoreValve. Once the filming was done, I had an enthusiastic expectation of what the outcome would be but I was speechless after witnessing it in VR. I had the opportunity to give a keynote at the Society for Coronary Angiography and Interventions (SCAI) in San Diego in May 6 regarding potential in implementing exponential technologies into medicine, and this recent Virtual Reality was one of them. Trying to explain and transmit these findings as well as other emerging technologies with words is close to impossible. It is like trying explaining sound to someone with hearing impairment. The brain perceives Virtual Reality in a different way than our true reality, and when an individual perceives it “awakens” a new realm and with it the potential. In order for me to relay my message in the most efficient manner, I decided to take the Gear VR to the meeting in order to get interested individuals to test the experience and understand what the words meant. 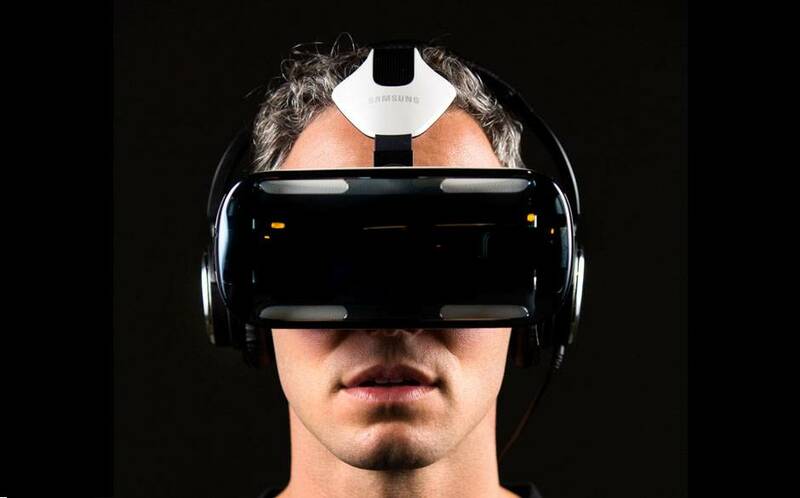 From a total of 20 individuals (most MDs) who have experienced the cases with the VR Headset, their response was always a “WOW” like reaction followed by “This is amazing” and the “Now I get it”. 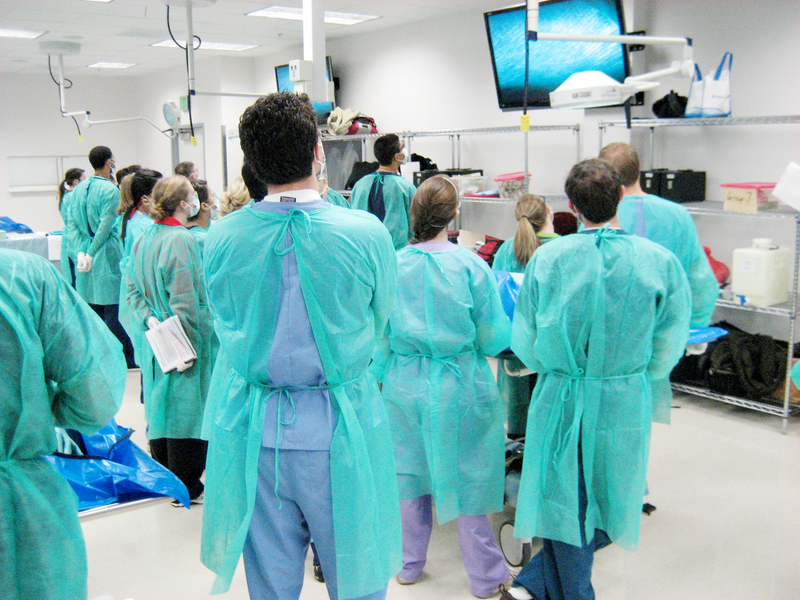 By understanding the implication of being able to re-live a procedure as a secondary operator, attendees quickly understood the potential in medical education. For those that did interventional procedures, they seamlessly understood how this could help in acquiring and learning new techniques. To our knowledge, this was the first time that true 360 immersive technology has been used and incorporated to Oculus Rift type technology. The proof of concept and acceptance by the Interventional Community at SCAI was a unanimous positive one which will lead to future projects later to be announced.